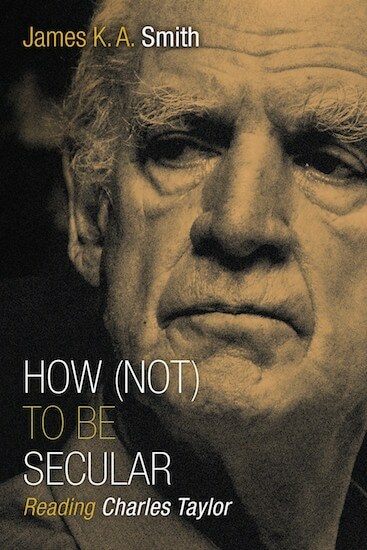 I’ve been reading How (Not) To Be Secular: Reading Charles Taylor by James K. A. Smith. It’s a book about a book (the book it’s about is Charles Taylor’s A Secular Age). Actually, it’s because I listened to a podcast Blair Hodges did with the author–so it was a podcast about a book about a book. Now this is a blog post about a podcast about a book about a book. How’s that for a Russian doll scenario? The premise behind Charles Taylor’s book is trying to understand how we went from the mindset in which disbelief in God was almost unimaginable to a situation in which the opposite is true; yet the book somehow avoids the tropes of both fundamentalist believers as well as militant atheists. It’s a very thoughtful treatise on how modern life is experienced by believers, skeptics, deists and atheists. A big part of this shift is that the conditions of belief have changed. We have more viable possibilities available to us in terms of belief, and we also have different underlying assumptions than people did a few hundred years ago. Since assumptions are the water we swim in, we are mostly unaware of them. Taylor (and in turn Smith) brings those to the foreground to be examined. As an LDS reader, another interesting angle to this topic is that the conditions of belief were already undergoing a major transformation before the restoration. As a religion, Mormonism emerged mostly under modern conditions, at least as compared to other world religions. Where possible in this brief primer, I’ll tie in Mormon observations that seem pertinent. What is a secular age? We are accustomed to hearing “secular” used as a slur meaning irreligious, but secular life through the ages was a composite of the temporal and material concerns, domestic and economic affairs, the stuff of daily life. Religion was also an integral part of daily life, but the tension between keeping one’s temporal affairs running smoothly with seeking spiritual transcendence resulted in a fragmentation between religious ascetics in the community (who took one for the team by devoting their lives to religion–nuns, priests, and monks) and the shopkeepers and worker bees who produced, bought and sold things to make society run (the lay people). Within Mormonism, we have a lay clergy and all men have the priesthood, so there is a mixing of secular and religious that results in our religion feeling more secular and our secular sometimes feeling more religious than it may in many other faiths. We don’t separate the two. Everyone has to do both. So this element of secular being at odds with religion is cast as an even more internal war for us as members of the church. A facet of our modern existence is that the world is disenchanted. There’s a scene in the movie Easy A that illustrates (to comedic effect) how silly non-modern assumptions about the world appear to us in our secular age. Fred Armisen plays a pastor approached by confused teen Olive (played by Emma Stone) who is seeking guidance and to understand how religion fits in with her life choices. Olive (voice over): Luckily, I live in a town with many different places of worship. So I went to find one with a real live human being. Pastor: Can I help you? Olive: Yeah, I was just wondering if there’s a minister around. Is it not a minister? A Reverend? A wizard? Pastor: It’s a pastor, and he’s here. How can I help you today? Olive: I was wondering what your church’s stance on lying and adultery was. Pastor: It’s not a good thing. Pastor: Oh, the Christian Church recognizes the existence of hell. Pastor: There is. Just so we’re clear. Pastor: – No, there’s no argument. It’s there. Right below our feet, right above the Orient. It’s there. The communication failure is two-fold: while Olive is approaching the pastor with “natural” assumptions about the world, the pastor is approaching Olive with a “supernatural” assumption. Olive’s approach is trying to be open to the possibility that her secular upbringing is not all there is. She doubts enough to ask; for her, it’s an open question. The pastor does not have an open view about his assumptions. He doesn’t doubt their accuracy. More on the open / closed dichotomy later. For now, let’s simply identify that doubting is a feature of faith in our modern world. Faith is contested and contestable–whereas this was not the case centuries ago. The world used to be “enchanted”–we believed that Hell was beneath our feet, that actual devils would roast the souls of the damned over an eternal fire, etc. Belief in the modern era has mostly lost these features or recast them as metaphorical. We seek to reconcile the natural and the scientific with faith. The natural world was constituted as a cosmos that functioned semiotically, as a sign that pointed beyond itself, to what was more than nature. Society itself was understood as something grounded in a higher reality; earthly kingdoms were grounded in a heavenly kingdom. In sum, people lived in an enchanted world, a world “charged” with presences, that was open and vulnerable, not closed and self-sufficient. We hear shades of #3 at church when people talk about Satan marshaling his forces against individuals or the church. We also hear an echo of this when individuals pray for moisture or relief from disaster. Mormonism also has a unique angle on #2 due to our lay clergy; callings make our work within the kingdom meaningful in a heavenly sense–however, this is quite different from a medieval mindset in which political leaders were also viewed as acting on God’s behalf or ordained of God, at least not in non-monarchical countries. Michael Quinn wrote about Mormonism and the Magical Worldview. In the earliest days of the restoration, folk magic, divining water, seeking treasure, seer stones, and a belief in seeing things with spiritual eyes were more prevalent in the culture Joseph Smith came from; these are assumptions and beliefs that are mostly unfamiliar to us in today’s church. Our faith can be challenged when we see the magical thinking of our earliest founder because we largely reject that worldview, finding scientific explanations more compelling. But for religion to argue based on logic and proof is beside the point according to Taylor. When we start arguing about proof and logic (which I believe Jesus decried as “seeking after a sign”), we’ve already conceded to a secular argument. Religion is about meaning, not explanations. Elizabeth Drescher wrote about this search for meaning in a secular age in her book Choosing Our Religion. She noted that many Millenials found spiritual meaning in simple activities like meals with friends or taking a yoga class. Finding moments for reflection or connection have become a spiritual touchstone for many. To them, these activities filled–at least partially–the longing for transcendence, the space religion once occupied. In a secular age, meaning comes from within. In this case, Mormonism straddles the secular world fairly well with our focus on personal revelation. While revelation assumes the origin is external (messages from God), the experience of personal revelation often has more in common with internal inspiration. It feels right to the individual. It clicks. It doesn’t necessarily feel like intervention; in a sense, it is similar to a divine spark from within that takes voice. Even when we are given church-wide revelation, a nod is given (whether this is sincere or not) toward seeking personal revelation as a confirmation; although it is not generally accepted to question the authority of church-wide revelation, we can quietly acknowledge that it is not binding to us as an individual due to personal circumstances. This respects the primacy of immanence or internal experience. The origin of meaning from within the self coupled with the fragmentation of religion in the modern world gives rise to the potential for exclusive humanism, rather than religion, as the director of a moral life. Because there are myriad churches, there is no “one” belief system. Every religion is a choice, and that opens the possibility to choose no religion. The choice itself means that the origin of religion is at least partly based on one’s internal values or conscience, perhaps coupled with divine inspiration, and this is the origin story of Mormonism: a personal quest for religious enlightenment. Joseph Smith’s family’s values assumed the right of all individuals to choose their beliefs for themselves. His family members did not all belong to the same religion, and the universalist sentiments of his father allowed for difference of opinion on the subject of religion. Not only did exclusive humanism become an option, but given the historically unchecked excesses of religion, for some individuals it became morally imperative to distance themselves from the corruptions of the Church. Where humanists and religionists experience the biggest disconnect is within missionary efforts (or “witnessing” in the context of evangelical churches). “You came with what you thought were all the answers to the unanswered questions these “secular” people had. But it didn’t take long for you to realize that the questions weren’t just unanswered; they were unasked. And they weren’t questions. That is, your “secular” neighbors aren’t looking for “answers”–for some bit of information that is missing from their mental maps. To the contrary, they have completely different maps. You’ve realized that instead of nagging questions about God or the afterlife, your neighbors are oriented by all sorts of longings and “projects” and quests for significance. There doesn’t seem to be anything “missing” from their lives–so you can’t just come proclaiming the good news of a Jesus who fills their “God-shaped hole.” James K. A. Smith, Preface to How (Not) To Be Secular: Reading Charles Taylor. This description sounds very familiar in light of the shifting missionary focus in the church. Where we used to hear about answering life’s big questions (who am I? where am I going?) in the 1970s and 1980s, in the contemporary Clayton Christensen The Power of Everyday Missionaries we hear about inviting people to meaningful community activities like service projects instead of trying to answer questions they aren’t asking. This shift is necessary if we expect to add converts to the community of the church. An outcropping of disenchantment was the buffered self. Where the old enchantments of the world, the demons and spirits and guardian angels, were in some ways a protection to individuals, doing away with them couldn’t be accomplished without buffering or protecting the individual, empowering individuals in their own right without relying on an ordered cosmos to protect them. The buffered self is a term Taylor uses to describe the modern individual’s outlook, that of an impersonal, logical observer, able to see things as they really are, apart from social constraints and cultural baggage. We strive to be invulnerable in our pursuit of truth, unlike our medieval predecessors. But the buffered self is pressured between unbelief and longing to believe. We approach the world from a scientific, natural perspective. We require impartial evaluation based on logic and proof. And we apply this approach to religion as we do to everything else. By contrast, people centuries ago lived as part of a networked society in which a person’s place was established and fit in with others in concrete ways. This way of living is foreign to us in our day. We can’t comprehend the lived experience in which a single religious worldview was so fully enmeshed in society that there really was no alternative available or even understood for the majority of people. And yet, the shift to immanence is not perceived as a loss, but something to celebrate. Scaling down amplifies the importance of our present existence to the same extent that it downplays the cosmic or eternal. Because individual choice is now the center of our values in a way it was not in preceding centuries, it colors our affiliation with religion in a way it never did before. We are religious by choice. We have moral agency, not just duty and neighborhood spies. What emerged from the buffered individual is a social imaginary or worldview in which individuality is given primacy. We functionally imagine ourselves as individuals, agents, no longer embedded and constrained by a societal order into which we are born, but instead we begin to see society as a voluntary collection of individuals bound by a social contract. 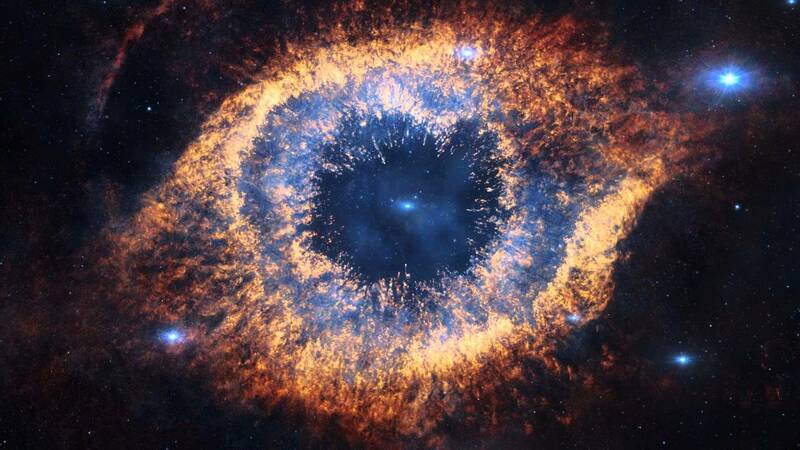 At the same time, the cosmos is no longer seen as deterministic. A providential deism emerges. God is recast as backstory. While these changes are happening, a shift is occurring in how people assume the universe is. Simply imagining it as a universe rather than a cosmos is itself a grand shift. The road to this shift is along the economic order rather than a medieval cosmic order. Traits that are pro-social: ordered, peaceful and productive are viewed as the model for human behavior. They are also the things that create economic stability. God creates us and gets out of the way, and religion becomes disposable when its actions don’t meet our economic model for morality. This belief in our ability to use logic to assess the universe overstates our skill and our objectivity. We still seek meaning, and because we aren’t capable of being an expert in every field, we exchange the limited viewpoint of religious authority for secular authorities who’ve attained some expertise in their chosen fields. In our modern individualistic mindset, identity takes on a new level of importance. We don’t simply see the world the same way people did centuries about minus God. Rather than disbelieving, we believe otherwise. But Taylor points out that the subtraction story is not the whole picture. We haven’t simply grown up or evolved from superstitious origins to our modern intellect and understanding. That explanation is too self-congratulatory to be accurate. People in our modern age are still haunted by a yearning for transcendence. Part of this malaise is because as buffered individuals we aren’t connected to meaning unless we either create it or find it ourselves. For this reason, even modern areligious people go on using the forms of the Church to mark the progress of life: marriages, funerals, birth, etc. They still seek meaning and connection, even when their principle identity is that of the buffered self, alone, authentic, and impenetrable by the duties of religious oversight and the constraints of community. Taylor uses the example of Francis of Assisi to help individuals notice their “unthoughts” or unarticulated assumptions about religion and secular life. Another way of putting it is that while secularists criticize religionists as having a basement full of fears and superstitions, the secularists also need to take a look at their own basement. Taylor talks about the distinction between those elites (whether religious or secularist) who believe that their worldview is uncontestable and those who acknowledge that it is all contestable now. 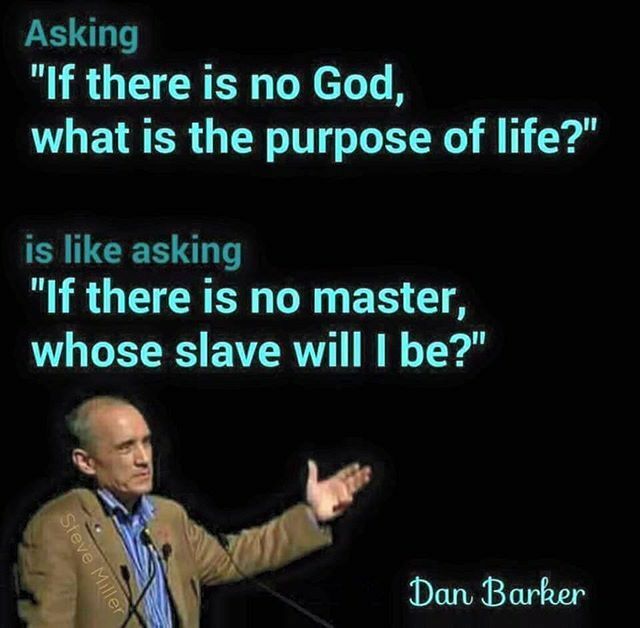 Just as there are religionists (like the Pastor quoted above in Easy A) who state that their worldview is a fact, there are also secularists, atheists like Richard Dawkins, who likewise see no alternatives to their perspective. Having a “closed” belief system vs. an “open” belief system is perhaps the most obvious distinction between Mormons at church. The closed structure is usually associated with the slur “TBM” in Mormon internet parlance with all its inflexibility and literalism. But that’s probably not a fair label either. There is a streak of universalism to Mormonism that pulls toward an open belief system, and the possibility of ongoing revelation (both personal and church-wide) also means that we don’t consider our understanding of the divine to be static and set in stone. But people are people. 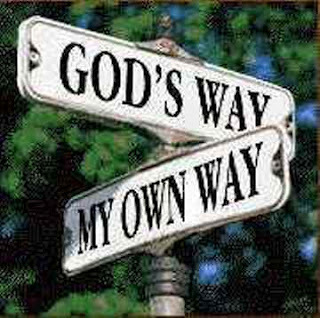 There are plenty of both “closed” and “open” believers out there, both within the church and outside of the church. Some who leave the church exchange one “closed” belief system for another one. Some of these concepts are worth further exploration in future posts. I also recommend Smith’s book to those interested in reading more about Charles Taylor and the rise of secularism. Do these concepts make sense of the shift from religiosity to seclarism? Are there any of these concepts that are particularly interesting to you? Do you disagree with Taylor’s view of secularism on any points? Interestingly, Taylor’s view is that we can’t go back to a non-secular age nor should we want to do so. But religion that exists in a secular world can be far better than the forms of religion a few hundred years ago if we don’t simply exchange our closed-minded religious views for closed-minded secular ones. Previous Previous post: Yes or No to the Inauguration? Hawkgrrrl – Very interesting blog post. Several of these concepts do make a lot of sense on shifts from religiosity to secularism. At least for Mormonism it seems that secular and religious realms are very intermingled when you compare it to the experience of many other religions in America. I just finished “Choosing Our Religion” just before Christmas and I too had a takeaway that many “Nones” consider meals with family/friends to be a religious event. Then I went and attended two family Christmas get-togethers and noticed it was about food – and it is more important to me that most any Sunday church event I go to. I probably need to read this again to get some of your points a bit deeper. And another book to put on the “to purchase” list. I’m actually very impressed with how much Hawkgrrrl was able to condense — I first heard about the Secular Age stuff from Rachael Givens Johnson’ posts on Times & Seasons — and she’s on part 7 (and counting!) of it. So, there’s definitely a lot that can be written. To me, the biggest thing that strikes me is the difference between an immanent frame and a transcendent frame, with the immanent frame being about flourishing, and the transcendent frame being about transformation. The immanent frame is about perfecting or realizing our human material (things like sexual fulfillment, success, health and prosperity, and so on), whereas the transcendent frame is about going beyond human categories. And I totally recognize that I have a definite immanent focus — I want to be the best person I can be, which means improving things in this life. I am not concerned so much about the eternities, especially to the extent that I am asked to suppress or repress or abstain from core human life elements on the hope or faith of a transformation in eternity. This is also a good place to point out how Mormonism developed as the systems were changing — because we can point out that Mormonism doesn’t have quite as transcendent a frame as other older religions do. It has a lot of immanent focus to it. Mormonism talks about becoming gods, casting off the natural man, etc., but godliness is not definited as wholly different from humanity. “As man is, God once was” after all. So, in Mormonism, human flourishing is identified with transcendent transformation. Paul in the New Testament takes a rather cynical look at marriage and sexuality, conceding that maybe it is better to marry than to burn, but his ideal is clearly celibacy. This is usually not so with Mormonism — the fulfillment of the law of chastity isn’t celibacy, but a fruitful, heterosexual marriage with children. So, there is that extent that sexual fulfillment is defined as transformative — at least for some people. Mormonism obviously isn’t completely about immanence, though. While the law of chastity absolutely views celibacy as a lesser goal for straight people (to the extent that the leaders chastise straight members for not doing everything they can to marry and have children), we can still see the rhetoric of transcendence when looking at the LDS church’s position on LGBT members. Here, sexual fulfillment is anathema. These members are supposed to set aside their sexuality in hopes that the Atonement can transform them into something else in the afterlife. I think this also can explain why we see faith crises more and more. People don’t natively live in the religious mindset. They live in a secular mindset, with an immanent frame, and when religion is at odds with that, that builds tension. So, LDS policies to LGBT folks often seem unfair precisely because we live in a society that has an immanent frame, and we cannot help but have that immanent frame ourselves. Andrew: Very well stated. Yes, Mormonism is uniquely secular in its immanent frame focus. God has a body of flesh & bone, and becoming a God means an embodied (and one assumes immanent) Person. It’s very unique among Christian sects for this focus on the immanent. And yes, you correctly point out that requiring some folks to live for transcendence while the rest of us live in an immanent framework really feels unfair and like the gospel has failed because it doesn’t allow flourishing for all. Exactly so. I really enjoyed this. Thanks for taking the time to write this up. This podcast from Blair Hodges Maxwell Institute podcast was one of my favorite listens this past year. Fascinating discussion. When I hear Blair and James Smith talking, I’m thinking this is exactly what millennials or those leaving religion need to hear to understand the value of religion today. And your write up here was very valuable. Thanks.